​This collection gathers outstanding examples of international books for and about young people with disabilities. The 2017 edition contains 50 titles in over 20 languages and includes specialised formats such as Braille, PCS and Sign Language and tactile and textile books. The books are for all ages and include titles from Turkey, Japan, Sweden, Ireland and beyond. Explore the online catalogue here. 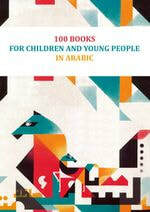 A selection of 100 books for children and young people in Arabic from different countries in the Arab-speaking world is now available in English. The list was originally in French and was collated by the Arab World Reading Committee of the journal Takam Tikou, which brings together professionals from different horizons: the French National Library / IBBY France, the Institute of the Arab world, Libraries of the City of Paris... Organised by genre and in alphabetical order by title in English, this guide also includes a few translations into Arabic of books originally published in different languages, to encourage the building of bridges between languages and cultures. This version in English was made possible through the collaboration between three national sections of the International Board on Books for Young People: IBBY France, IBBY Ireland and IBBY UK, all members of IBBY Europe. The PDF can be download from the IBBY Europe website. In response to the waves of refugees from Africa and the Middle East arriving in the Italian island, Lampedusa, IBBY launched the project “Silent Books, from the world to Lampedusa and back” in 2012. The project involved creating the first library on Lampedusa to be used by local and immigrant children. The second part required creating a collection of silent books (wordless picture books) that could be understood and enjoyed by children regardless of language. These books were collected from IBBY National Sections, over one hundred books from over twenty countries. The catalogue of the 2013 collection is available here. Bookbird (ISSN 0006 7377) is a refereed journal published quarterly by iBbY International. Bookbird aims to communicate new ideas to the whole community of readers interested in children's books. Bookbird is open to any topic in the field of international children's literature. News of iBbY projects and events are highlighted in the Focus iBbY column. Other regular features include Postcards from Around the World (brief postcard reviews of children's literature from around the globe); Books on Books (a review of pofessional books); and some international poetry in each issue. Check out our membership options for some great deals on Bookbird subscriptions. At the initiative of iBbY Ireland six national sections have come together to showcase some of the best of children's illustration from each country: Estonia, Guatemala, Ireland, Japan, Turkey and Zimbabwe. The result is the iBbY Big Dates Calendar - a perpetual calendar for you to mark all those important birthdays and anniversaries. Order it here! Cross-Currents is an exciting and innovative guide to the role that books can play in promoting respect for human and cultural diversity. Specifically focused on Ireland, its articles and reviews provide lively, thoughtful and accessible information about books and book-related projects of interest to everyone concerned with helping young people to navigate the changing waters of our increasingly diverse society. It includes reviews of almost 180 books for toddlers through to teenagers, covering picture books, fiction for all ages, dual-language books, poetry, folktales, mythology and non-fiction. There are articles about development and intercultural education and extensive listings of relevant resource organisations and publishers. Cross-Currents was first published in Autumn 2005 and is a successor to the influential Changing Faces, Changing Places, A Guide to Multicultural Books for Children also published by iBbY Ireland. Download Cross Currents (PDF, 3.3MB) below. This guide contains a number of articles with an Irish perspective on multiculturalism as well as reviews of dual language picture books, folk tales, reference books, and general fiction. The contributors are widely experienced in the area of children's books and multicultural issues. The guide will be of interest to teachers, librarians, parents and everyone concerned with the fair representation of the lives, cultures, and concerns of all children living in Ireland. Contributors include: Professor Declan Kiberd, University College Dublin; Dr Anne Rath, University College Cork; Jane O'Hanlon, Poetry Ireland. ​Explore Changing Faces, Changing Faces here. This book is the remarkable story of Jella Lepman, who, having left Germany to escape the Nazi regime in the 1930s, chose to return in the aftermath of the Second World War as 'Advisor on the Cultural and Educational Needs of Women and Children'. In the early 1950s she established iBbY, now a worldwide movement with over sixty national sections. The book includes photographs from the 1940s and 1950s, illustrating Jella Lepman's work and achievements. It is introduced by Tayo Shimo, then President of iBbY and includes a foreword by Mary Robinson, United Nations High Commissioner for Human Rights, and an account of the International Youth Library yesterday and today by Dr Barbara Scharioth, its Director. This book is a profound insight into the thinking of a remarkable woman. Publisher: The O'Brien Press in connection with iBbY Ireland, find out more here. 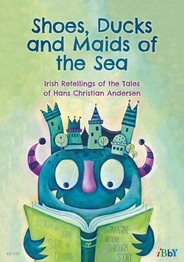 Imaginenations.ie is a resource website aimed at bringing international children’s literature to an Irish audience through reviews of children’s books, and features from academics, librarians and activists. Launched in conjunction with International Children’s Book Day 2014 and managed by IBBY Ireland, imaginenations.ie is a space where those with a passion for bringing children and books together can gain access to information on important works of literature published for children, engage with debate on current issues surrounding international children’s literature, find out about upcoming events and projects and access links to the children’s book community both at home and abroad.